An interesting essay written exclusively for Time Lapse Network by Gary Yost, a filmmaker and photographer worldwide known as leader of the team that created Autodesk 3DS Max. Don’t just show me beautiful or even amazing time-lapse videos. Show me something that has meaning. So, you’ve learned how to make a time-lapse video with your intervalometer and maybe even you’ve mastered one of the software packages available for creative control over how the timelapse sequence gets rendered. Maybe you’ve posted a video or two on Vimeo of the clouds or stars moving in a beautiful place and gotten a few thousand plays. What’s next? Where do you go from here? 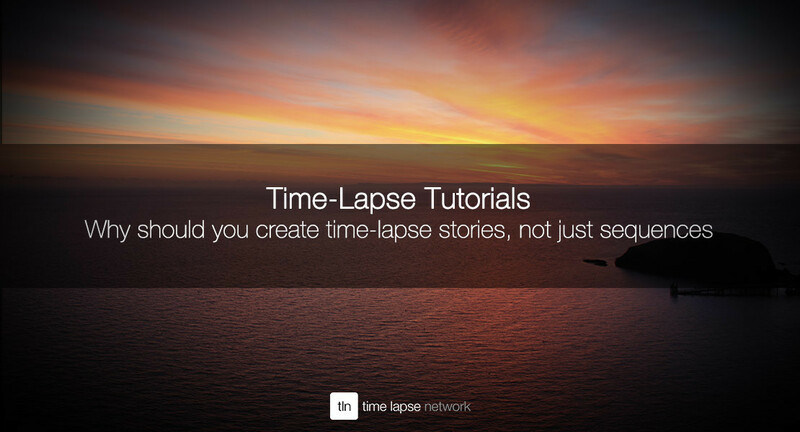 One topic that all of the tutorials about how to make a time-lapse video never discuss is… Why create time-lapse sequences in the first place? Is it just to make eye-candy mini-travelogues or is it to inform us about our world in a new way and even make us think a little more deeply about our place in it? Time-lapse is an important technology because it allows us, along with high-speed (slow-motion) cinematography, to manipulate time to show natural processes that would either take too long to show in a single shot, or processes that are so short that we need to stretch them out to comprehend them. Too many people (almost all!) jump into time-lapse with the thought of doing something “cool” but without thinking of how these sequences might be used to enhance a more significant story. There are plenty of resources online about how to set up a time-lapse shot, but nowhere does anyone discuss how to integrate time-lapse with an overarching narrative… to build stories in which the use of time-lapse (or high speed/slow motion) actually enhances and deepens the plot so the viewer experiences the subject on multiple levels. Instead of just beautiful images of bristlecone pines in the White Mountains, talk to the people who are trying to protect those trees or the scientists who are studying how air pollution is killing them. Rather than just beautiful time-lapse of the aurora borealis, interview the people who live with that phenomenon and find out how it affects them as human beings. Make time-lapse a part of the story of the world! No discussion of this subject would be complete without showcasing Louis Schwartzberg, who has been continuously shooting time-lapse videos every day for over 30 years. His TED talk about his “Gratitude” film is one of my greatest inspirations. Anyone interested in time-lapse has to see this and then think about how to use these techniques to tell their own stories. There are a few people who have made a huge impact with incorporating time-lapse in their films, and to see the ultimate expression of this, you should watch “Chasing Ice” by Jeff Orlowski and James Balog. They have used time-lapse videos of melting glaciers as the core of an award-winning (and consciousness-raising) documentary about climate change. Another powerful film that uses time-lapse to tell a story is Gunther Wegner’s “African Skies 2,” which blends real-time video of endangered animals with time-lapse sequences of their habitats. The time-lapse shots accentuate the message that time is running out for these creatures, and the film’s purpose is to generate revenue for conservation charities. Gunther, by the way, also happens to be the author of what I consider the greatest time-lapse rendering software available: LRTimelapse 3. Luca Pelizzaro is a brilliant filmmaker who has found a way to make time-lapse an integral part of the story in his film “Madness.” I discovered this film on the Time Lapse Network website and the way Luca presents the darkly emotional story of being institutionalized in a mental asylum perfectly highlights the power of time-lapse to compress time into a small space. He brought an actor into the setting to help us go deeper into the story and powerfully feel what he was portraying in the film. How can you use storytelling techniques? I have worked hard to implement these same ideas into my own work. In my 2012 short A Day in the Life of a Fire Lookout, my goal was to capture the quiet feeling of what it’s like to be standing watch over a community, apart from the world but within sight of it. Any in my latest documentary, “The Invisible Peak” I used time-lapse to bring to life the story of how the top of a mountain is affected by time and the natural elements over 100 years. It’s a challenge to create a 20-minute short doc (incredibly lengthy in internet time!) that maintains a high level of interest and dynamic visual excitement, but using time-lapse imagery the viewer feels the magic of what it’s like to be in this very special, but desecrated place. I shot 1 Day @ Delfina using time-lapse, real-time and high-speed techniques to show how a restaurant hustles to create their culinary magic. Even in my first music video, In Fits in Dreams, I found a way to use two time-lapse sequences to advance the timeless feeling of the song in ways the move the story forward. There are times when you may want to just create a time-lapse study of a beautiful place. I found some amazing dead trees on private land in the Big Island of Hawaii in 2013 and spent a year working to get permission to film there. When I finally went back in 2014 to film the trees I found myself confronted with the fact that just images of the trees wouldn’t be enough to tell my story… there had to be some additional narrative. Since these “tree bones” had so much history in Hawaiian culture I simply added one shot at the end, of my wife dressed as a spirit, and filmed her in slow motion, compositing that with the time-lapse background plate. This created the soul-stirring spooky feeling I was looking for, and connected the trees to the Hawaiian people. It doesn’t take much! And finally, what if there’s just no reason to bring external elements into a time-lapse study and you just want the narrative to come from the images themselves? Here’s a piece I made up at the Mt. 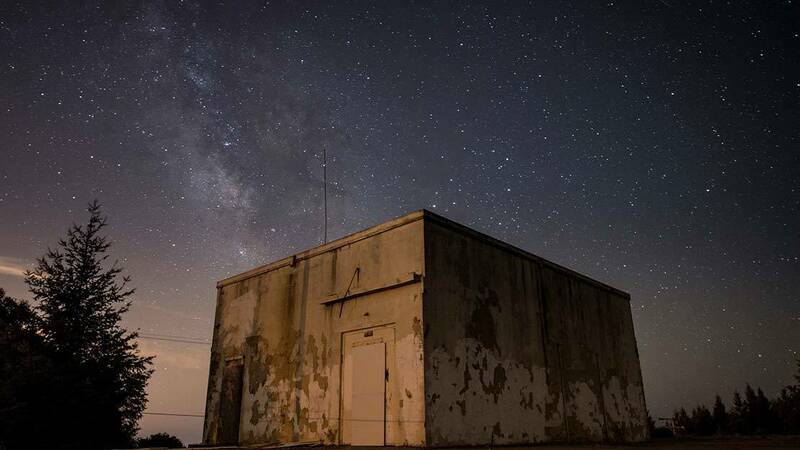 Tamalpais Fire Lookout that is simply the story of the full moon rising and setting over the San Francisco Bay Area. In this case the narrative arises naturally from the movement of the moon through the sky. 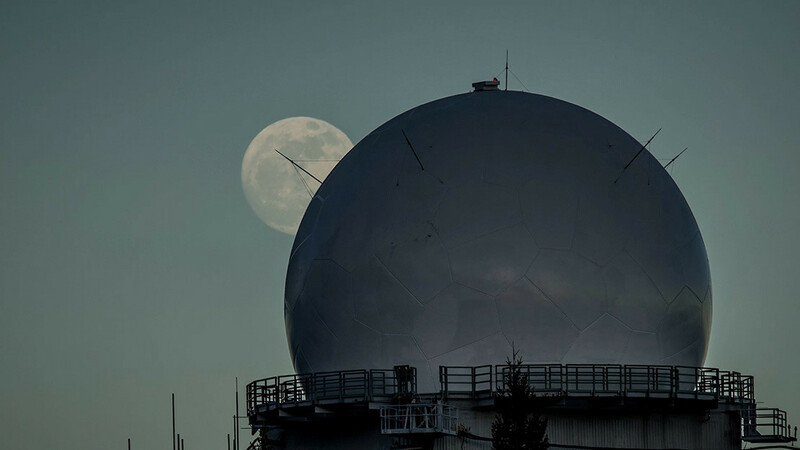 It’s not just a bunch of disparate elements edited together without rhyme or reason… it’s the age-old story of our moon and how it moves so beautifully through the sky, over our creations and our beautiful planet. In order to tie this time-based narrative together I was very careful to run all the time-lapse sequences through a final color-correction pass in Davinci Resolve to match the color between sequences so that the progression throughout the night made visual sense. In some cases this involved animated color changes of the sky throughout a short shot so it would match both the shot before it and the shot after it. These examples point the way towards how you can incorporate these techniques into your own storytelling process. The traditional way time-lapse has been used as a narrative tool is to speed up a very slow process… the opening of a flower, the transformation of a pregnant woman’s belly through her 9-month term, etc. This is a good start… but you can take it so much farther! Experiment with seamlessly combining time-lapse, real-time and even slow-motion cinematography. Assign yourself a task to play with these techniques in a test film and see how they expand your horizons into areas that you previously didn’t realize were available to you. Even something as simple as this study of old airplanes in an aviation boneyard can be tremendously enhanced by just a few portraits and audio interviews. Until now, if you’re like most of us who have been attracted to making time-lapse videos, you just haven’t crossed the threshold; you haven’t stepped up to use this powerful technique to go deeper into narrative. Although there are fantastic resources out there for learning how to develop compelling stories (the best one probably being stillmotionblog.com KNOW and “Story First” books), the people who are practicing these documentary arts and writing treatments for compelling short subjects don’t seem to know much about how time-lapse can help them in their narrative process. So that means that you, the creative people in the time-lapse community, are primed to use these tools to go to the next level of documentary filmmaking. Time-lapse can be used to create deeply powerful emotions… to bring viewers of our films greater understanding about a place, a subject, an idea. And it’s not really that hard… It just takes a little thought about where the story lives. If someone is in a place that has great potential for time-lapse scenes, there are always connected themes to those beautiful man-made or natural vistas. We just have to take advantage of the amazing tools we’ve been given at this empowering time to be a filmmaker to find those stories and bring them to the world. Heck, any camera that can shoot time-lapse can also shoot an excellent interview. You just need to learn a little about lighting and audio. The time-lapse community is on the cusp of something greater than just producing a bunch of pretty eye-candy. It’s an exciting time to be making independent films! Gary Yost is a filmmaker and photographer living in the San Francisco Bay Area who focuses on telling stories about the interesting people and places where he lives. Yost has been using technology to tell complex stories for a long time. 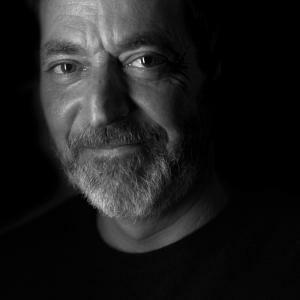 As the leader of the team that created Autodesk 3DS Max he gave millions of people 3D modeling and animation tools, enabling them to use computers to visualize anything they could think of… and a lot of those things were too large, too small, too fast or too slow to show with conventional video. These days, Yost refers to nature as “his grand animation stand” and spends much of his time on Mt. Tamalpais in Marin County. We would like to thank Gary very much indeed for his time and extraordinary post on our website. We’re sure that lot of people will find it truly inspiring, but we would really love to hear from you, so let us know what you think about this post by leaving a comment!